WAMCon Early Birds Extended & Stacks More Speakers Added! If you’re yet to pick up your pass to WA’s leading music industry learn-fest and networking event, you’re in luck! You now have until 11:30pm Friday 14 September to grab a WAMCon early bird pass before prices go up. With an early bird pass the only way to guarantee access to the VIP Quay Note Boat Party, radio pitching, and 1-on-1 networking, you’d be crazy to let this one pass you by! 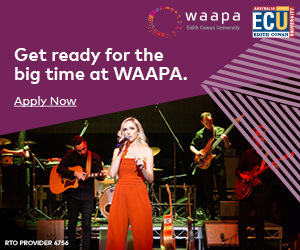 If you’re searching for more reasons to purchase your early bird, the next lot of WAMCon speakers set to ignite your music career at the State Theatre Centre of WA from Friday 2 November – Saturday 3 November 2018 have just been revealed! The latest lineup unearths a diverse mix of expert industry folk from the likes of SOUNDS AUSTRALIA, triple j, 4ZZZ, Way Over There, Perfect Pitch Publishing, Barefoot Bands, Pilerats and more, as well as leading music brains from Queensland University of Technology, the University of Western Australia and Griffith University School of Cultural Research – injecting a unique research-fuelled angle into the program. We’re excited to see Director of Way Over There and festival programming extraordinaire Richard Moffat join the lineup, even though it won’t be as a speaker. Having vowed to retire from industry panels to make space for fresh voices, he joins this year’s conference as a workshop facilitator. 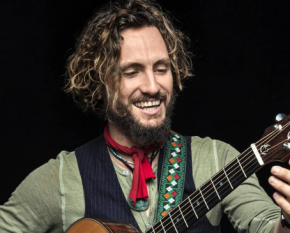 Richard will moderate a small artists-only workshop that aims to help artists pick apart the existing music business model and forge a new path suited to today’s digital landscape. Leading the charge for our next crop of industry panellists are reps from Aussie music’s biggest international exporter SOUNDS AUSTRALIA, with their newly appointed Digital Export Producer Dom Alessio (formerly from triple j) and Associate Producer Esti Zilber both onboard. 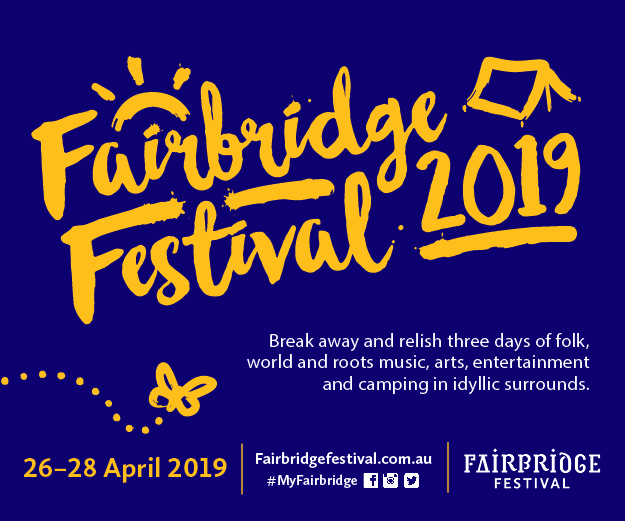 They’ll join speakers from Australian broadcasters such as triple j’s Home and Hosed Presenter Declan Byrne and Weekend Lunch Presenter Karla Ranby, and 4ZZZ Music Coordinator Liz Ansley. Stacks more speakers from all walks of the industry are revealed below. Alongside all the industry reps, we’re excited to welcome two published professors to this year’s program: Emeritus Professor Alan Harvey (UWA), neuroscientist and author of Music, Evolution, and the Harmony of Souls, which explores the importance of music as a driver of interactive behaviour from social and neurological perspectives; And Professor Patrik Wikström (QUT), author of The Music Industry: Music in the Cloud, which unpacks the immense change facing the music industry with the rise of streaming and other digital media. We’re also pleased to welcome PhD Candidate Lisa Nikulinsky to the lineup as a panel facilitator. 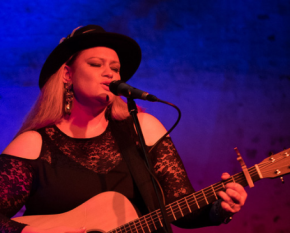 With Lisa’s research in youth, identity, and popular music culture in regional Australia, she promises to fuel conversations around privilege and the obstacles facing artists growing up in remote communities. Dive into the future of music at WAMCon! 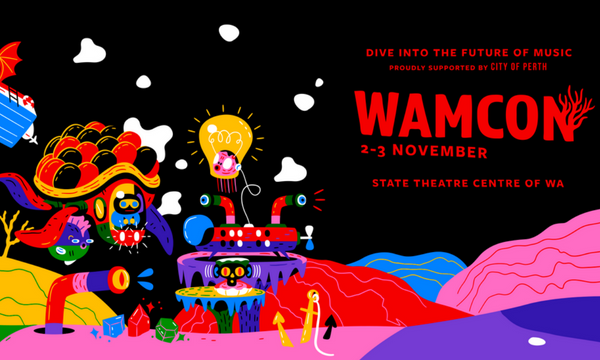 Proudly supported by City of Perth, WAMCon returns to the State Theatre Centre of WA on Friday 2 – Saturday 3 November as part of WAMFest 2018. Early bird tickets are now on sale via Eventbrite until 11:30pm 14 September 2018. 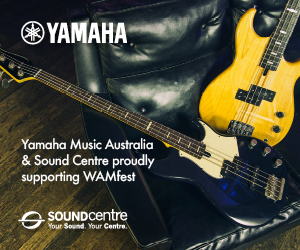 For more information, visit wamfest.com.au. Guaranteed access to Quay Note Boat Party, 1-on-1 Industry Speed Dating Sessions, Radio Pitching and all other events/sessions.